Due to the TV station claiming the rights to the video, this video is no longer available on YouTube. You can go watch it here (thanks, K. B. Owen), or I can describe it to you. The time of Gibbs, to be exact. The map behind him dances in psychedelic colors while the Man of Weather demonstrates how he is also the Man of Florida, rattling off geographical locations like he’s the Rain Man of Floridian vacation destinations. Then, BAM! A high-pitched squeal of terror warbles out of his mouth. The camera starts to shake as a deep, rhythmic pounding gets closer, closer. His religious experience is cut short. Spiky pincers reach for him. His eyes bulge as they wrap around his middle. The screen goes black, but his screaming continues in my head to this day. So that’s not really what happened, but this was way more fun than an actual blow-by-blow. You can put your own stories of what you think/wish happened in the comments. p.s. For more Quick Giggles, visit my *GIGGLE, SNORT* and WHAT AM I LOOKING AT Pinterest boards! Thanks for adding that link. What a great video! 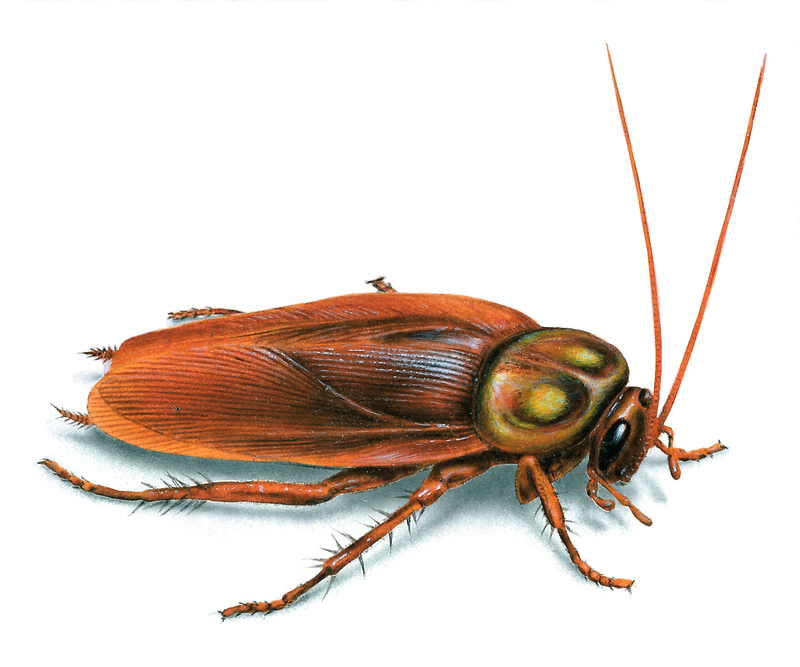 I’m with the weatherman…I hate cockroaches. But I have to say you’re version is funnier. Giggle Friday back at you. That picture is freaking me out!